The Texan politician Lamar Smith is a member of the U.S. House of Representatives. He is the current Chairman of the House Committee on Science, Space, and Technology. The Committee has oversight over the National Aeronautics and Space Administration (NASA), the National Oceanic and Atmospheric Administration (NOAA), the Department of Energy, the UnitedStates Environmental Protection Agency, the National Science Foundation, the Federal Aviation Administration, and the National Institute of Standards and Technology. Lamar Smith is known for rejecting the scientific consensus (Carlton et al., 2015 and references herein), according to which humankind was facing an ongoing climate change (with global warming as one aspect of it) that was caused by human activity. One example of his rejectionist views that come with the usual talking points, combined with elements of conspiracy fantasy can be read here. "Much study has been devoted to the possible causes of an apparent decrease in the upward trend of global surface temperatures since 1998, a phenomenon that has been dubbed the global warming “hiatus.” Here we present an updated global surface temperature analysis that reveals that global trends are higher than reported by the IPCC, especially in recent decades, and that the central estimate for the rate of warming during the first 15 years of the 21st century is at least as great as the last half of the 20th century. These results do not support the notion of a “slowdown” in the increase of global surface temperature." Thus, scientists publish a study based on new or revised data, with results that, if generally acknowledged as valid, revise some results or conclusions that had been presented in previous scientific publications like the IPCC report or individual studies. The normal scientific process is that other scientists examine the data, assumption, and methodology, and they are trying to reproduce the results from the study, if so inclined. If they do not agree with some assumptions or the methodology in the new study, they are trying to do better in their own research. If those scientists obtain different results, they present these results in another scientific study, which then is open to the scrutiny by other scientists again. This is how the scientific process works. Results from previous studies are revised all the time. However, what is supposed to be the justification for Lamar Smith to open an investigation of the climate scientists who authored the study? The implied suspicion is that the scientists have had committed unethical conduct in their scientific research, which would warrant an investigation. Apparently, no actual initial evidence that would justify such a suspicion has been presented. So it appears, the fact alone that Karl et al. published a study with results contradicting common rejectionists' talking points seems to be considered as sufficient to put the scientists under such a suspicion. This looks very much like a fishing expedition conducted by Lamar Smith, abusing his political power for just another witch hunt against climate scientists. I guess the general purpose of these kind of actions is to intimate scientists by putting them under a permanent threat of retribution for publishing results from their scientific research, which are in contradiction to political, ideological, or religious beliefs of the political right. If they produce such results they can become a target of an investigation by the ones in power at any time, for no real reason. It is another episode in the war on disliked science that has been waged by the U.S. political (far) right in and outside of Congress for years now. This goes very much against the freedom of science. 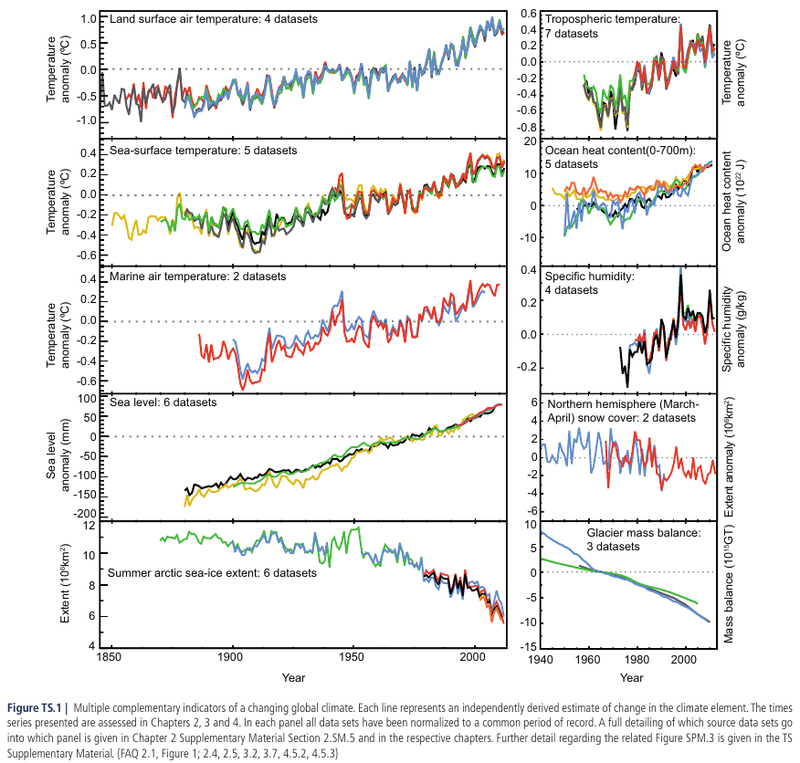 Carlton, J.S., Rebecca Perry-Hill, Matthew Huber and Linda S. Prokopy, 2015: The climate change consensus extends beyond climate scientists, Environ. Res. Lett, 10(9), 094025, doi:10.1088/1748-9326/10/9/094025. IPCC, 2013: Climate Change 2013: The Physical Science Basis. Contribution of Working Group I to the Fifth Assessment Report of the Intergovernmental Panel on Climate Change [Stocker, T. F., D. Qin, G.-K. Plattner, M. Tignor, S. K. Allen, J. Boschung, A. Nauels, Y. Xia, V. Bex and P. M. Midgley (eds. )], Cambridge University Press, Cambridge, United Kingdom and New York, 1535 pp., doi:10.1017/CBO9781107415324. Karl, Thomas R., Anthony Arguez, Boyin Huang, Jay H. Lawrimore, James R. McMahon, Matthew J. Menne, Thomas C.Peterson, Russell S. Vose, and Huai-Min Zhang, 2015: Possible artifacts of data biases in the recent global surface warming hiatus, Science, 348(6264), 1469-1472, doi:10.1126/science.aaa5632. Smith, Lamar, 23 April 2015: The Climate-Change Religion, Wall Street Journal. Warrick, Joby, 23 October 2015: Congressional skeptic on global warming demands records from U.S. climate scientists, Washington Post.